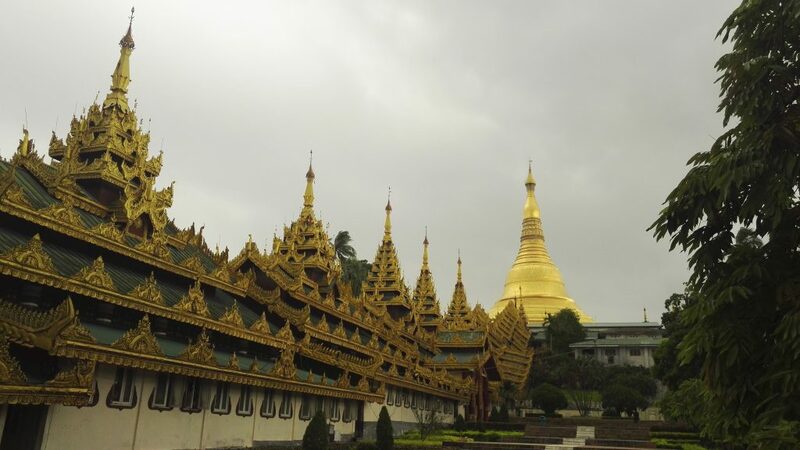 Now that you have either left your visa application in the safe hands at the Embassy or just picked it up, here’s my top 3 things to do in Yangon. This long and windy road called Strand Road has ample fruit and veggie vendors and small street food joints. Tucker is inexpensive so sample as many dishes as you can. If you are a vegetarian it might be more challenging, though. They don’t speak English much nor are the English menus widely available. So prepare to use sign language. Don’t worry, though, there are plenty of noodle stalls around so I’m sure you will find something to fill you up. 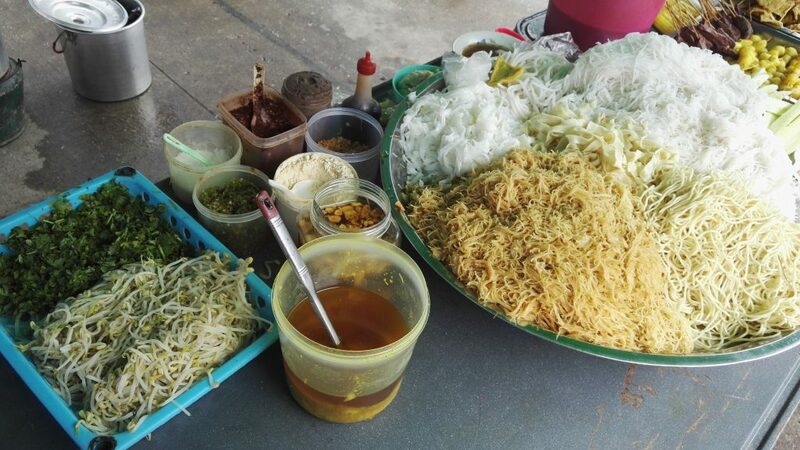 In addition, may I say also that the Burmese noodle dishes were just delicious! Dry noodles were not dry at all. I could’ve eaten two portions easily. Then again, if you wish to have something soupier, coconut noodles might be your thing. Noodles are soaked in mild and creamy coconut milk. Once again, makes me miss Burmese cuisine. By the way, they have intestines and other interesting “parts” available on barbeque if you are into trying new things. Alternatively, you can cook them in broth. Not for me, thanks, anyway. 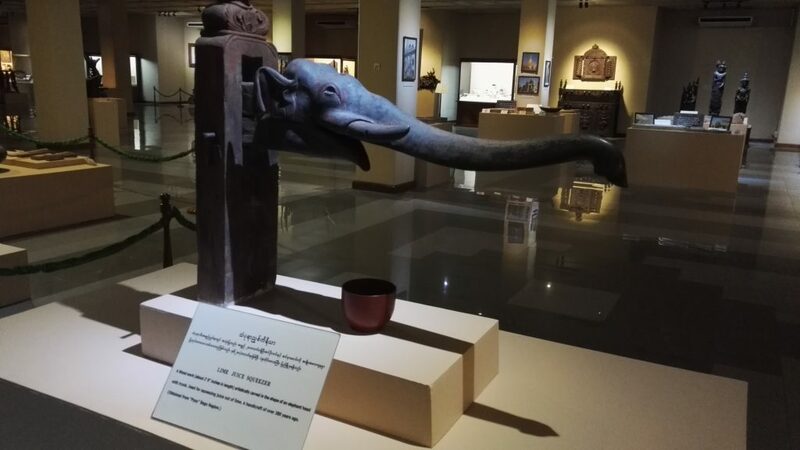 If you like museums, handicrafts and art, I suggest you give it a go. If you don’t like the above mentioned I can tell it’s a good way to learn about Myanmar’s history anyway. The entrance fee is 5 USD or if you prefer, you can use kyats. My guide was very knowledgeable and spoke good English. He pulled an old stunt on me, though, and I fell for it. Almost. The guides are supposed to be free even though they tell you otherwise. The sneaky guide said his price when we had walked a few metres past the ticket booth. He was asking 10 USD and I just laughed at him. We agreed on 5. When the tour was about to end I said I will pay him downstairs as my dollars were in the locker (you need to leave your extra things in a free locker). He started coming up with all kinds of reasons why we shouldn’t do the payment downstairs. I realised what was happening and said I will only pay him with whatever kyats I have with me. He seemed to settle for that knowing he had no choice. I actually remember that I had read it somewhere that the guide is free. But they didn’t advertise this once you get to the museum. I hate it when they do these scams. I wish they would just honestly state that their pay is crap and tips would be welcome. If you don’t want to go through all the 5 levels choose the ones that interest you the most. The throne room is definitely worth seeing. Similarly, the royal furniture and outfits are something not to be missed. 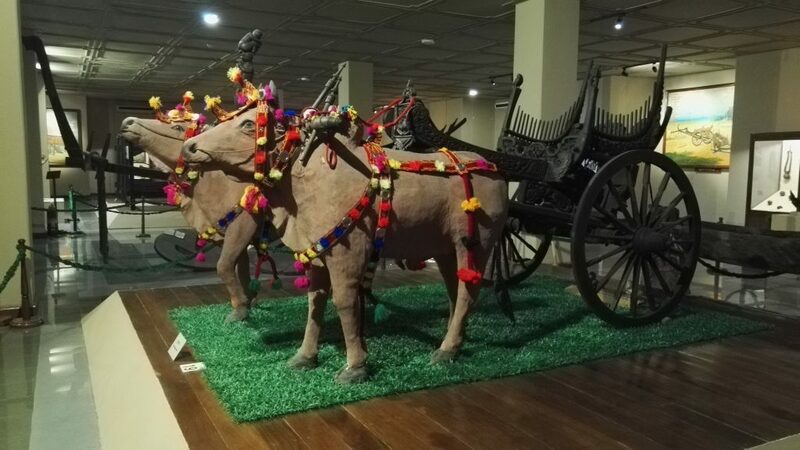 If you are not too sore from walking around I would suggest visiting the upper floor as well which has a display of the numerous ethnic groups Myanmar has. It was interesting to see the different costumes each tribe has. 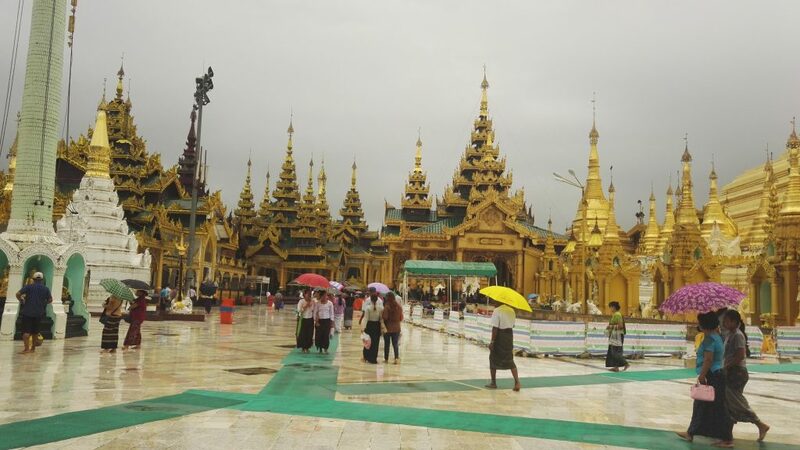 Shwedagon Pagoda was as stunning and beautiful as I had anticipated. Actually, this monument was the reason why I decided to travel to Myanmar in the first place. 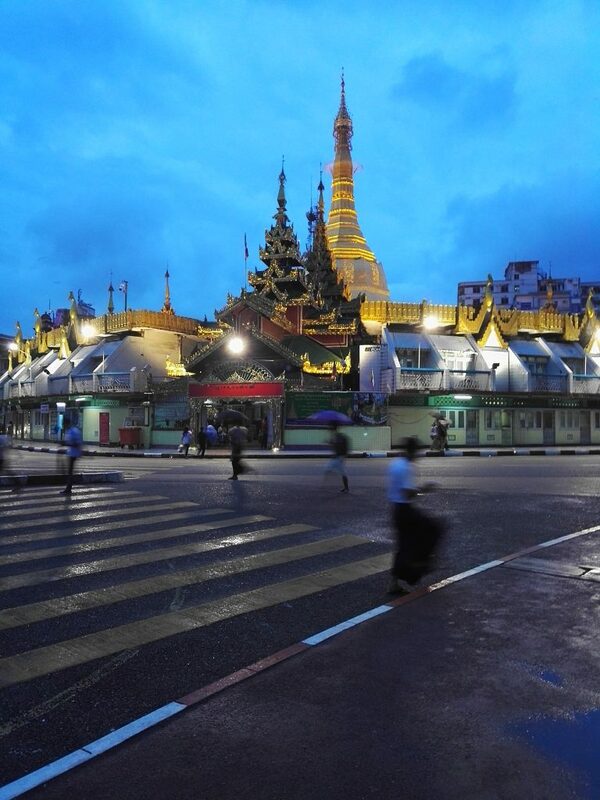 I was teaching Buddhism to my students and came across this holy temple which was situated in Yangon. It seemed so intriguing that I just had to see it. The entry was quite expensive for us, tourists, 8 USD but totally worth it. Unfortunately, it is a single entry admission so you can’t come again at sunset even if you wanted to take some breathtaking photos in the dusk. It started pouring on the day that I visited it which was a real shame. I couldn’t go around as much as I wanted. 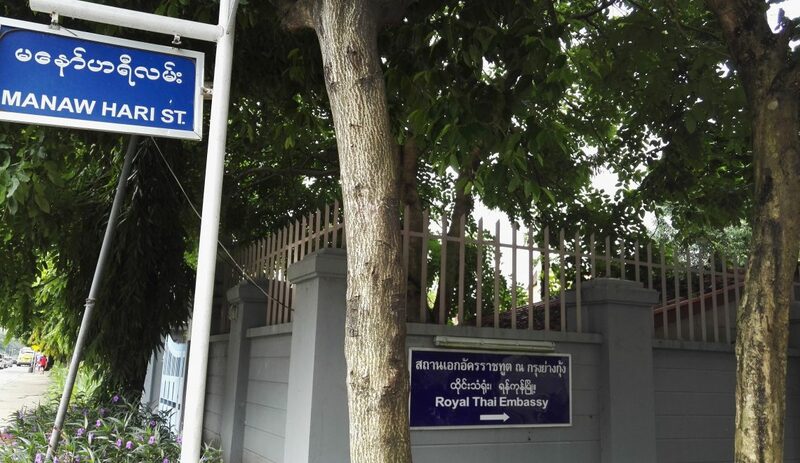 Furthermore, in the end, I needed to rush to the Thai embassy to collect my new visa. The embassy is not too far so you can combine the two actually, it’s maybe 10-15 minutes walk. Just make sure you take the right entrance, either south or west. If you’ve had enough of walking, there are taxis waiting outside. The Golden Pagoda area also has a Museum and a Photograph Exhibition. Unfortunately, I only got to see the latter. If you want to know more about this fascinating place, I would suggest hiring a guide. Remember to negotiate a suitable price! When visiting any temple, remember to dress accordingly: no knees showing, a proper shirt with at least shoulders covering sleeves and not too much chest showing. They have sarongs there if you forgot the proper attire. I don’t know if it’s free or you need to pay for it, though. Shoes are not allowed inside so you might want to bring a plastic bag for them if you don’t want to leave them outside. If it starts raining, it’s very slippery, so be careful! They have money exchanging booths and ATM:s around the place and plenty of souvenir stalls at the entrances. Might be nice to check out at least 2/4 of the entrances as they are slightly different. If you are not feeling fit or prefer not to sweat, don’t worry, they have escalators and lifts as well. 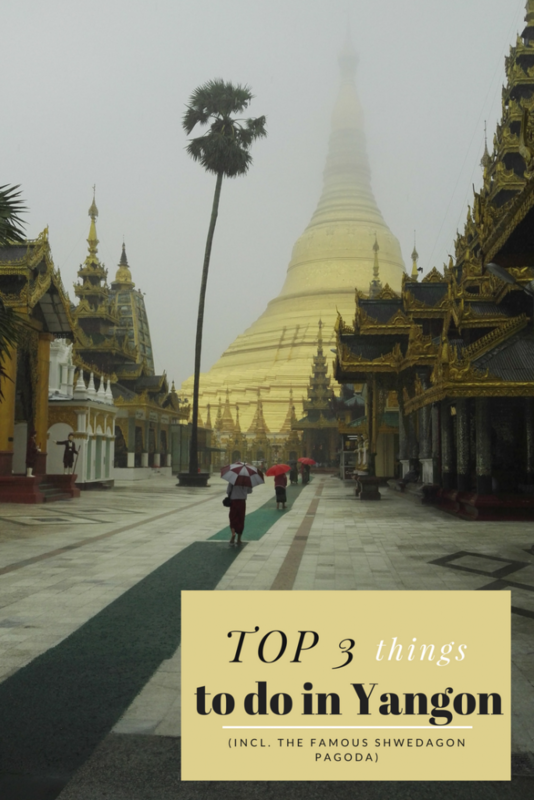 This was my list of the top things to do in Yangon. If you need some more advice on how to get there and some practical tips, have a look at this post. Unfortunately, my limited time didn’t allow me to explore Myanmar any further on this trip. Next time, I will make sure to see more of this beautiful country. 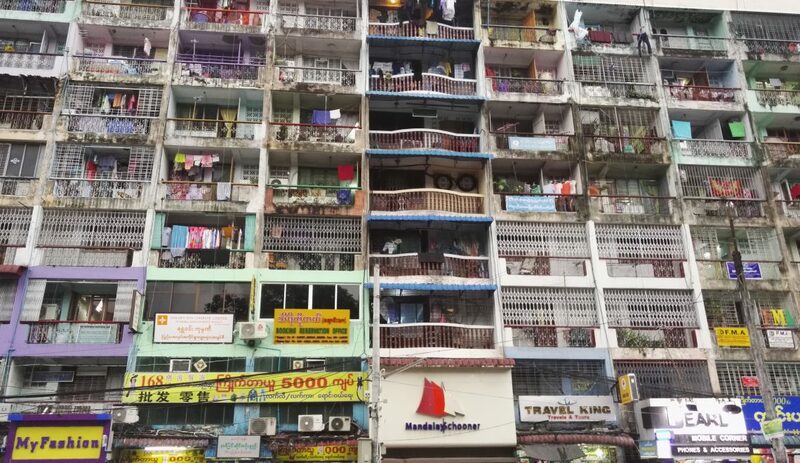 If you do have some time, though, make sure to look at this post if you are going to visit Mandalay.